Life is full of unexpected happenings which allow us to grow into the person we are destined to be. 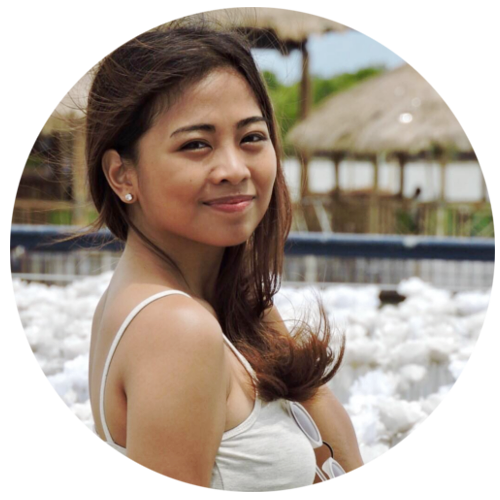 From the shy little girl that I was back then, I’m now channeling my thoughts in this blog and sharing it with the world. As I turn 24, I’d like to share with all of you the most important life lessons I’ve learned so far. Avoid comparing yourself with others. Each of us is unique, with different strengths and capabilities. You should not be in competition with anyone but yourself. 2. You have unlimited potential. The sky’s the limit! Learn new things, don’t be afraid to explore. You’ll never know unless you try. Setting goals will keep you going, you’ll always have something to look forward to. These goals will motivate you and will surely keep you on track. Do not rush. Just because you can’t do something today, doesn’t mean you can’t do it ever. Don’t be hard on yourself, everything good takes time! Worrying is a waste of time. What’s done is done. No more what if’s. Stop wasting time on things you will never be able to control. Have some time alone. You are your most genuine self when no one’s watching. Know yourself, know what makes you happy and do it! 7. If you don’t ask, the answer is always no. I realized that it’s totally okay to ask and speak up – you’ll be surprised at the many opportunities you’ve missed just because you assumed and already accepted no as an answer when in fact the world is giving you a big YES. Surround yourself with people who support you and believe in you, people who will pick you up after you tremble and will applaud you in your victories. 9. People come and go and it’s okay. There is nothing constant in this world. If a person wants to get out of your life, let them. You’ll soon realize that it’s going to be the best for the both of you. When we feel pain, all we want is to get over that feeling. Not knowing that it is the exact same feeling that will make us stronger and braver in the forthcoming hardships in our lives. Forgiveness is never easy. However, I always put it this way. If you’ve already suffered once because of someone else’s actions, not forgiving them is suffering a million times more. I really believe that God answers all of our prayers, not the way we wanted to, but by how He knows what’s best for us. Each person you encounter has a story to tell – listen, and share your story as well. You’ll be surprised at how many people have also encountered difficulties similar to yours. You are not alone. 14. It’s okay to quit. I know that quitting seems like the easy way out. However, when you know you’ve done your best and still, nothing works out – maybe it’s time to go and move on. Sometimes we really have to end things so that we can start with a new beginning. There are countless of amazing people in this world who can inspire and motivate you to be the best you you can be. 16. Your parents were usually right. You’ll realize that all these years, everything your parents told you were mostly right. You’ll appreciate them more, and realize how amazing they really are. Nobody is perfect, so are you. Make as many mistakes as you can but always learn from them. These mistakes will lead you into the realization that you can always be better than you were before. Habits make our lives so much easier and simpler. Habits eliminate unnecessary decision makings so that we can focus on bigger things that needs our utmost attention. You have all the power that you need to take control of your life. Learn to say no. Do what makes you happy, find your passion. If you’re unhappy with your life right now, change it. Don’t wait for plot twists to happen, make it happen. 20. The world is huge! There are so many places to go, different cuisines to try, and countless of things to learn – this world offers us with limitless possibilities! 21. Learn to take risks. Happiness is a choice and we should choose to be happy, always. As I’ve said earlier, you are in control. There will always be something to be grateful for. The fact that you are alive gives way to all the possibilities in this world. Your life is more valuable than you think. There’s nothing wrong with being a little selfish sometimes. Focus on yourself, cultivate your talents, make yourself better. Once you’ve learned how to love yourself, life will be easier. You won’t have to chase after happiness, happiness will radiate through you. Love this! I’m glad you’ve learned these at an early age still! Hope you have a great year being 24! Hi Alice! Thank you! ❤ I’m happy too that the people around me made me realize all these things.